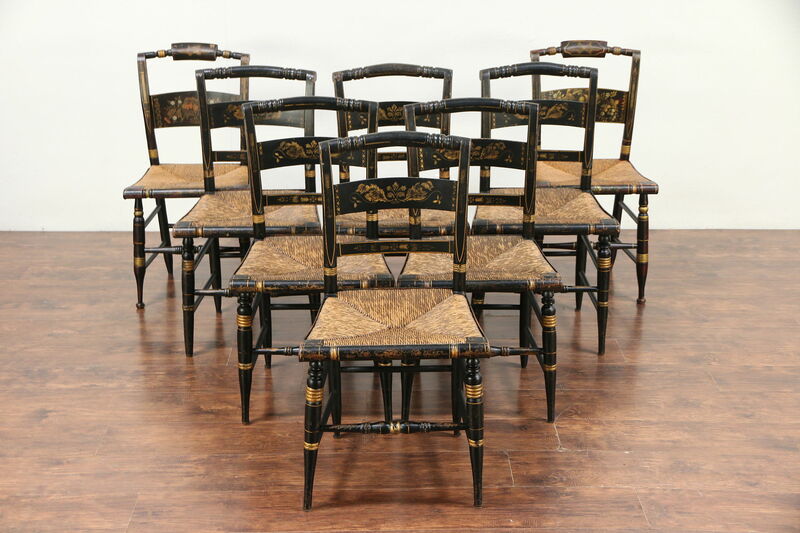 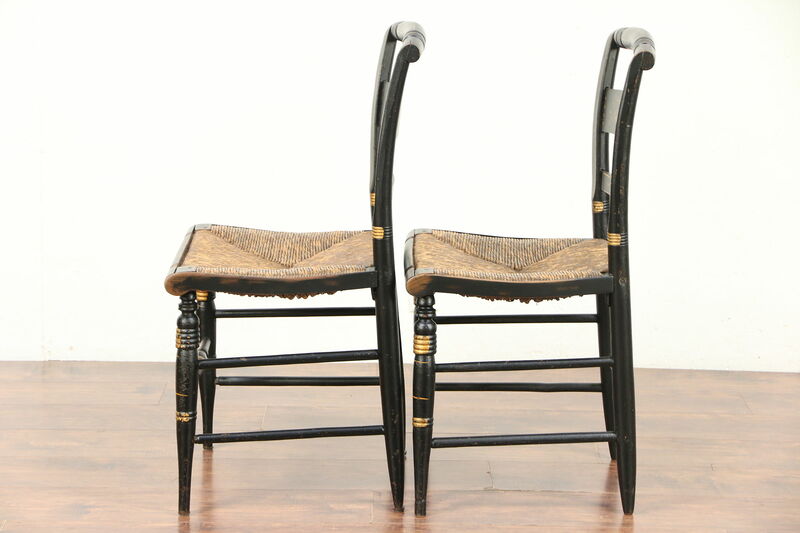 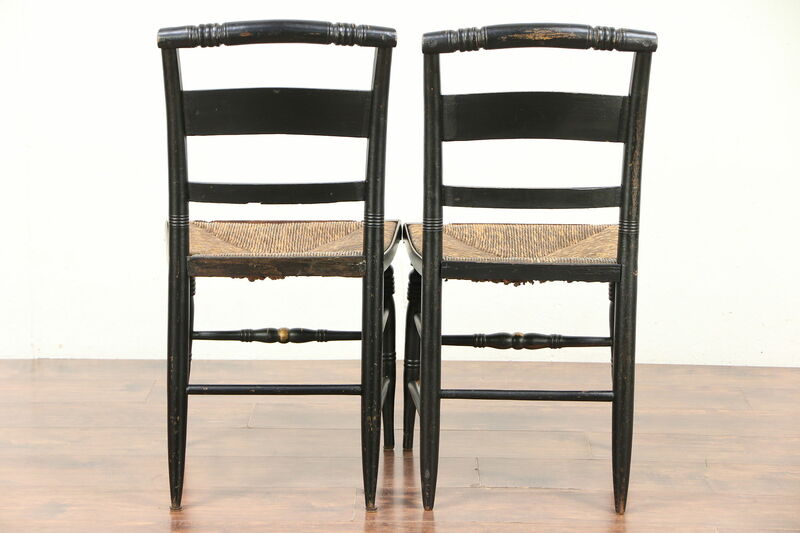 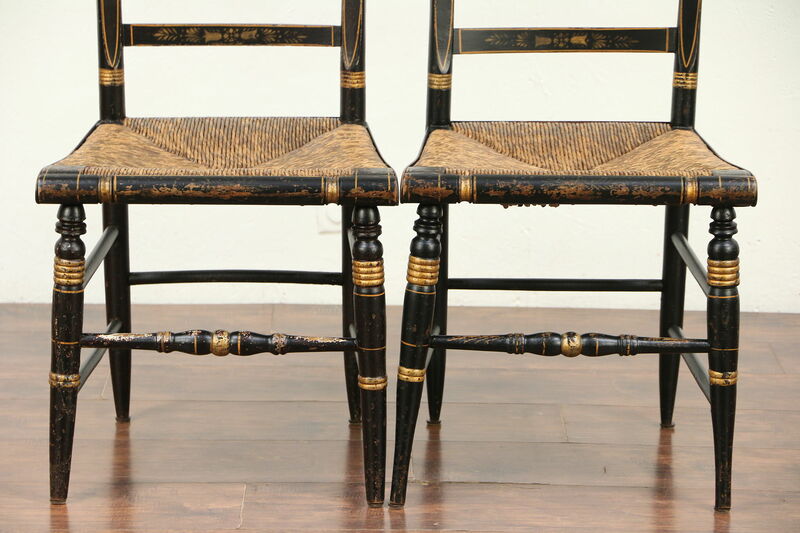 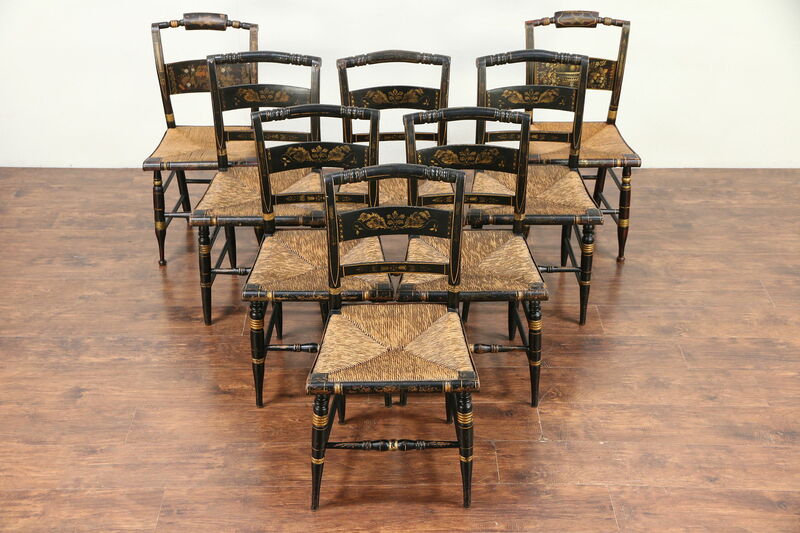 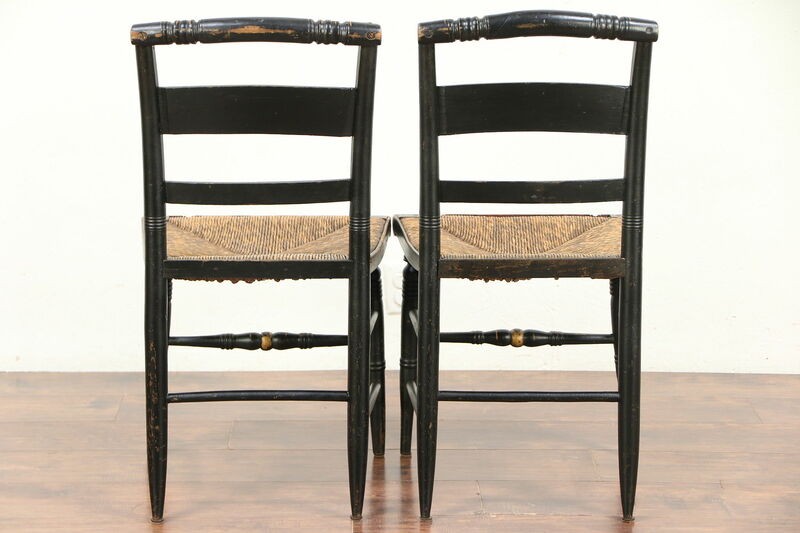 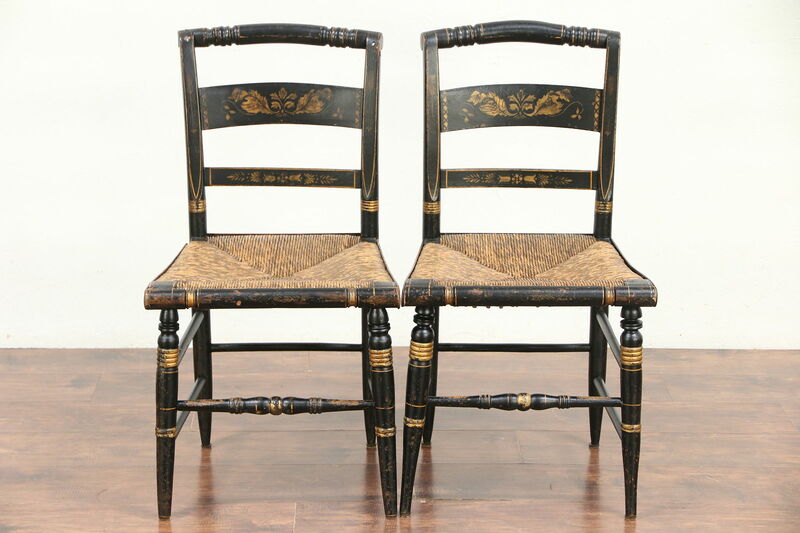 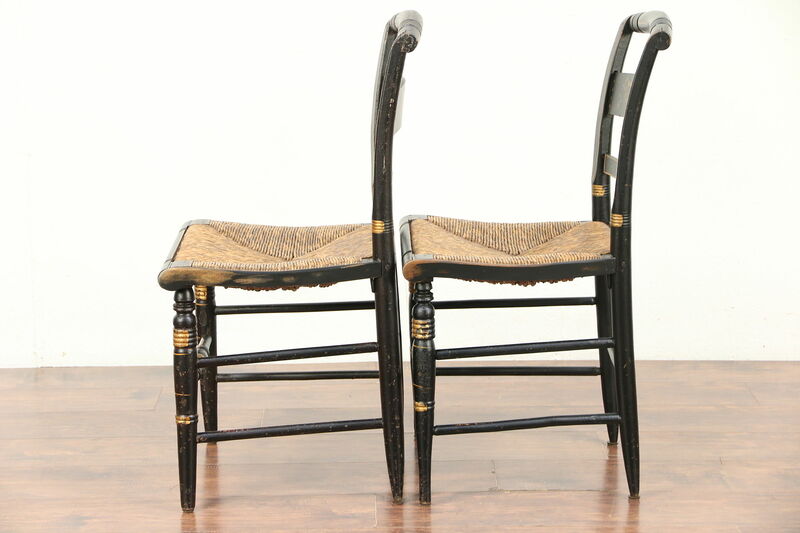 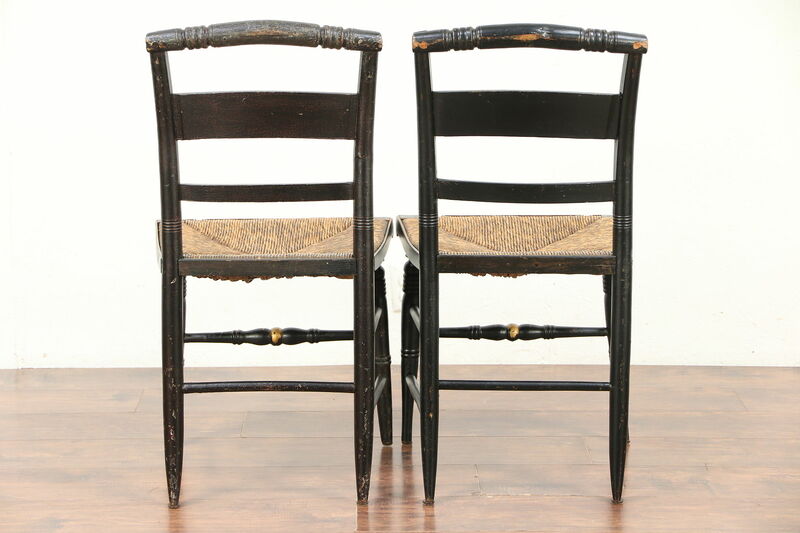 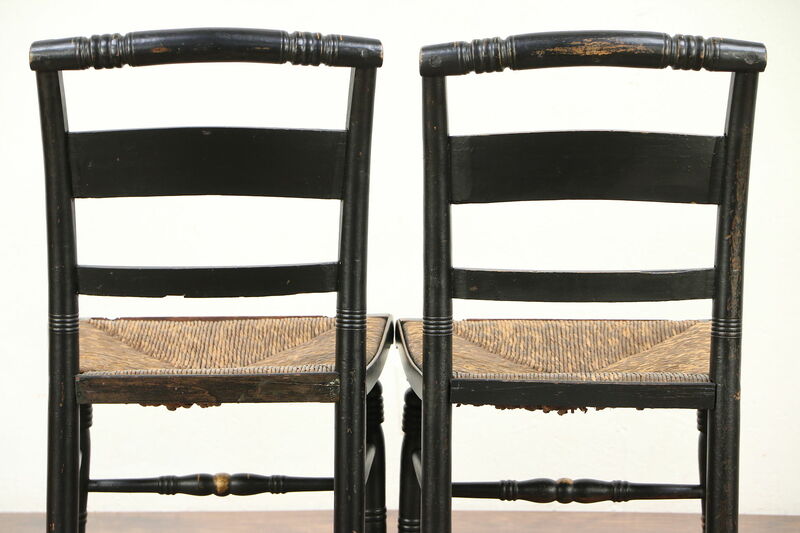 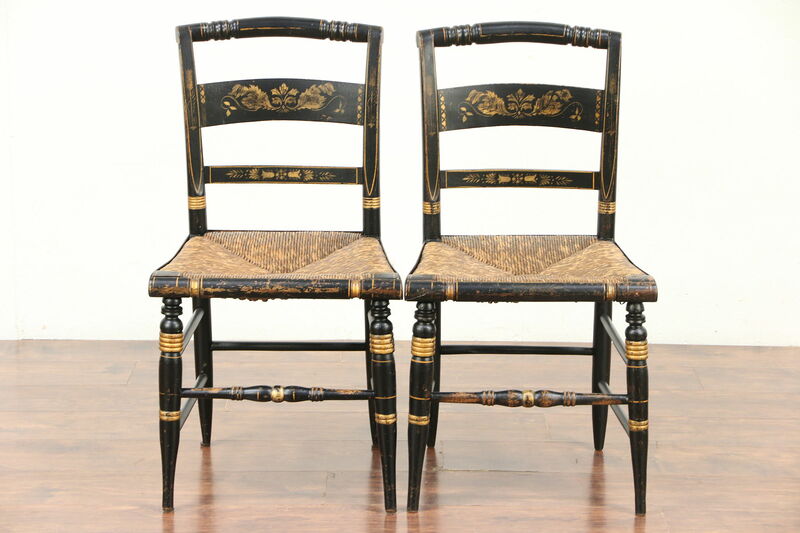 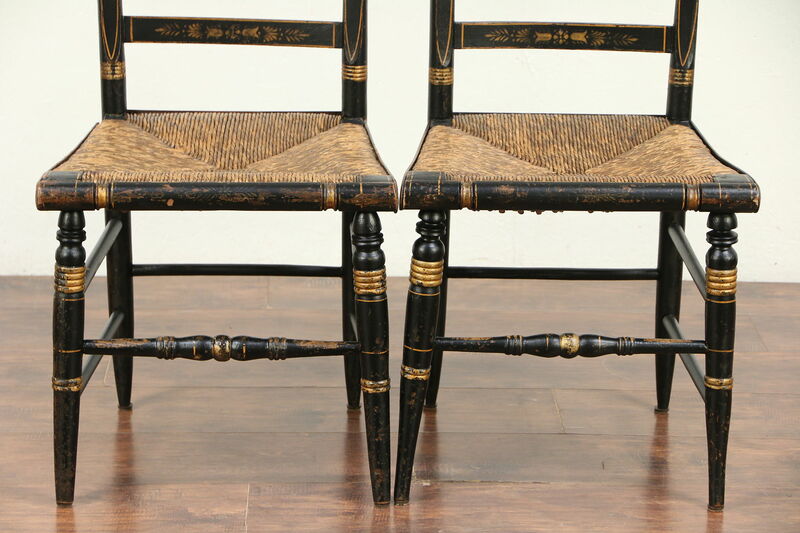 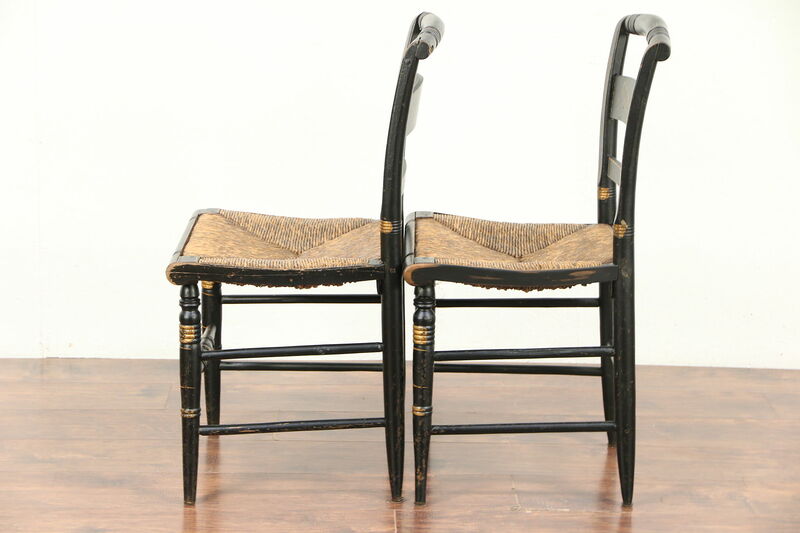 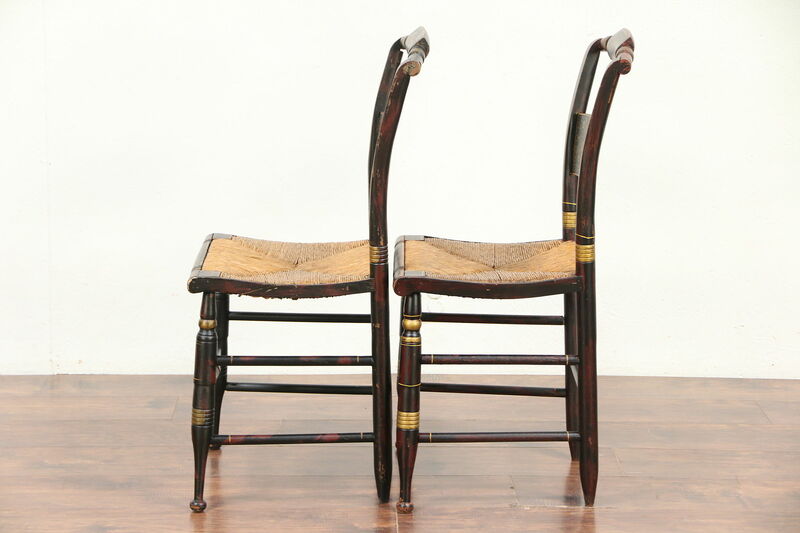 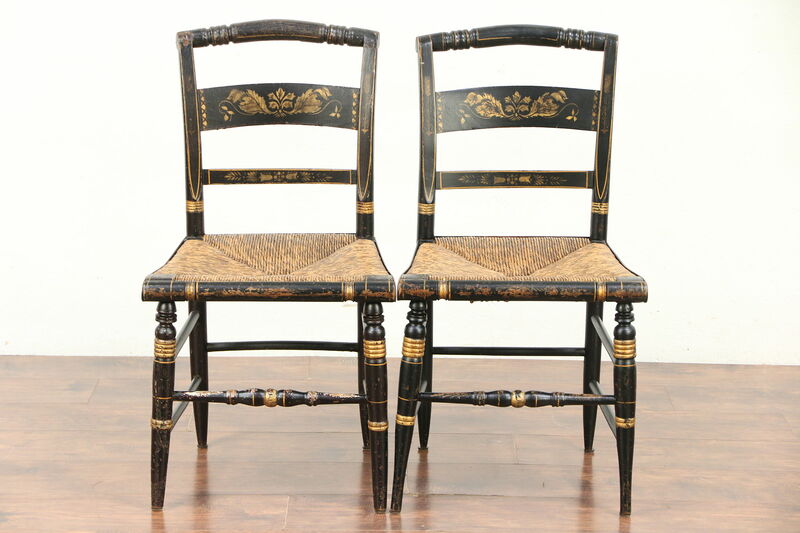 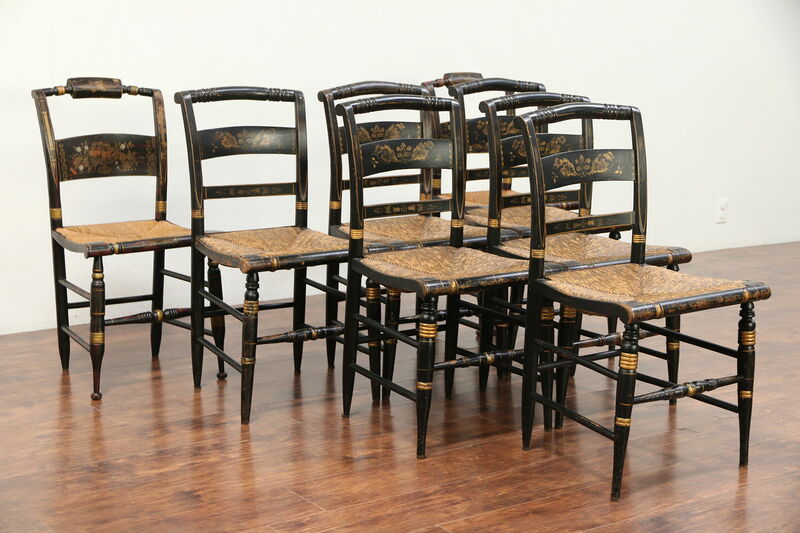 An assembled set of eight (6 +2) "Hitchcock" chairs have rush seats and date from the late 1820's. 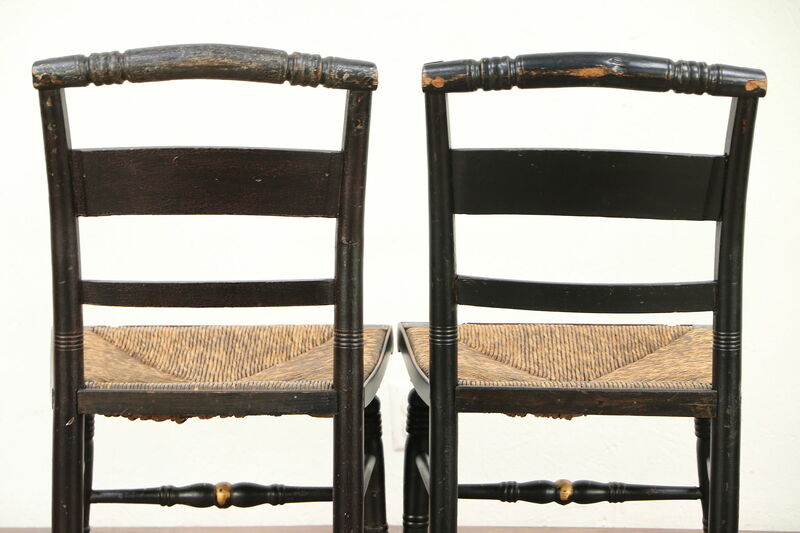 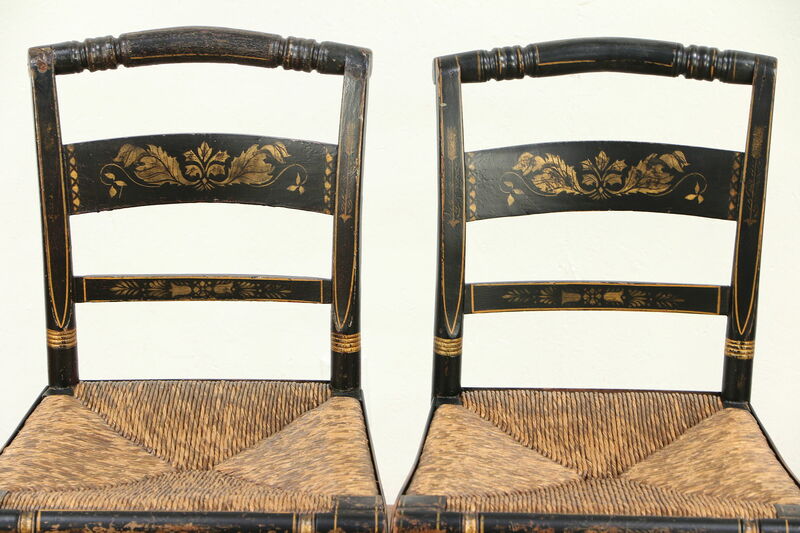 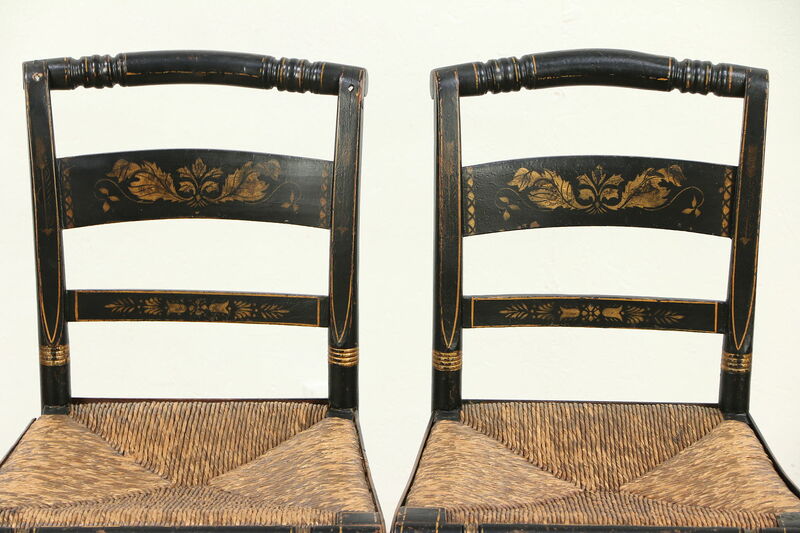 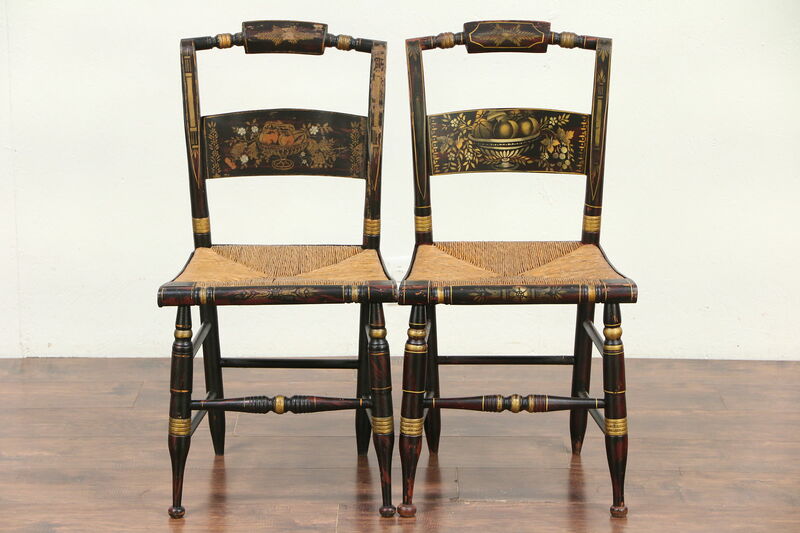 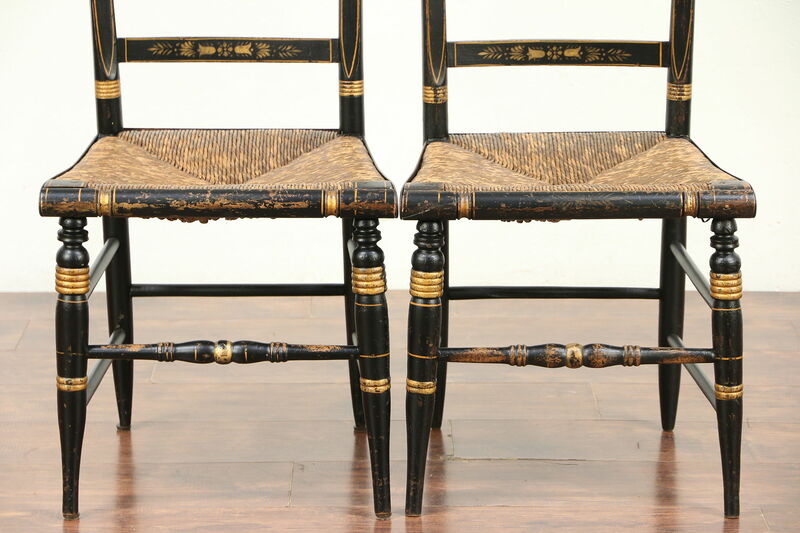 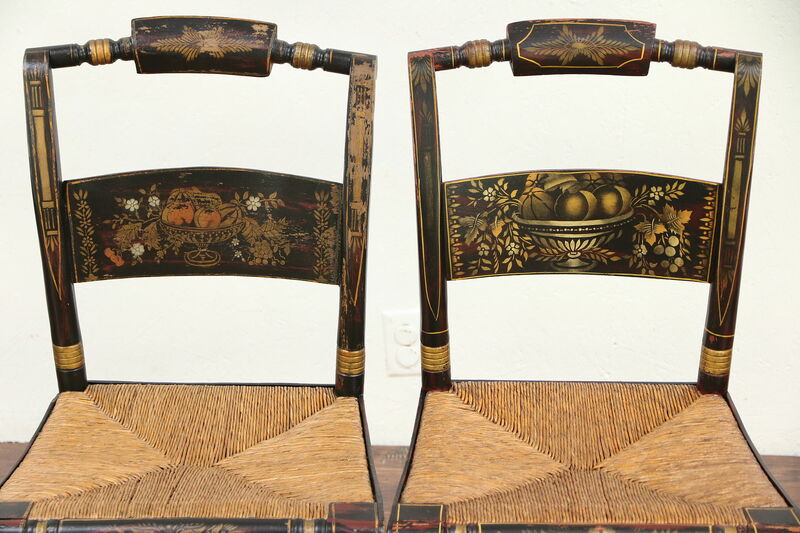 Lambert Hitchcock (1795-1852) designed and produced these classic hardwood chairs in Riverton, Connecticut. 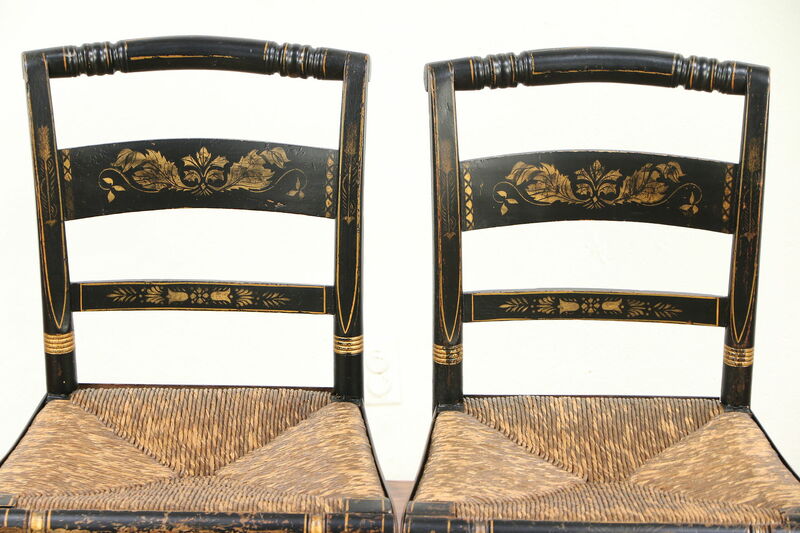 The original stenciling and hand painting is distinctive. 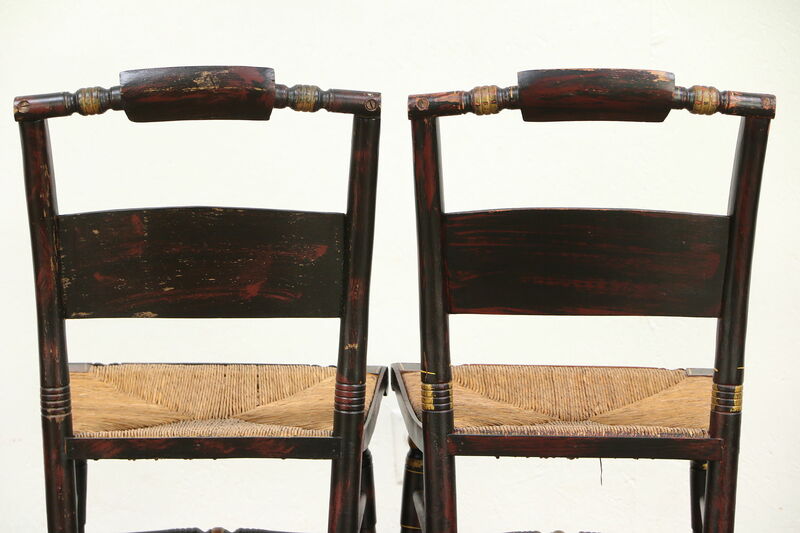 The original painted finish has been protected with clear varnish, preserving lots of wear, mars and stains for antique character. 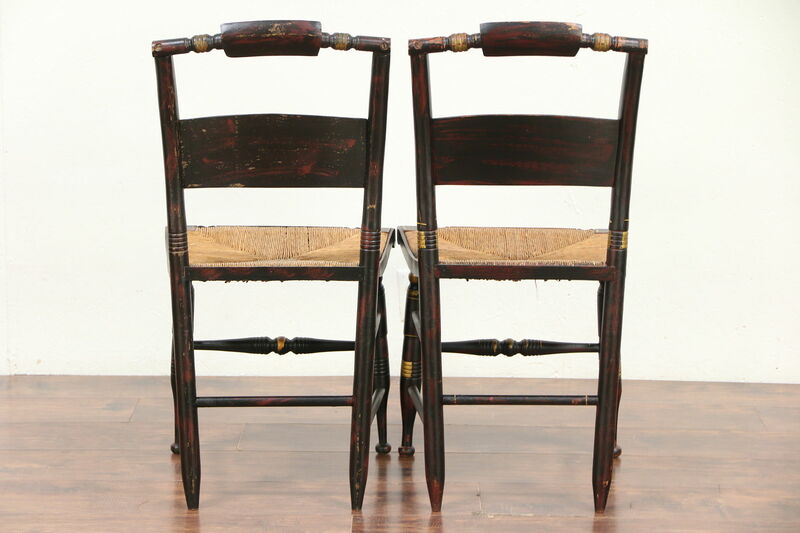 Reglued to serve another generation, frames are sturdy. 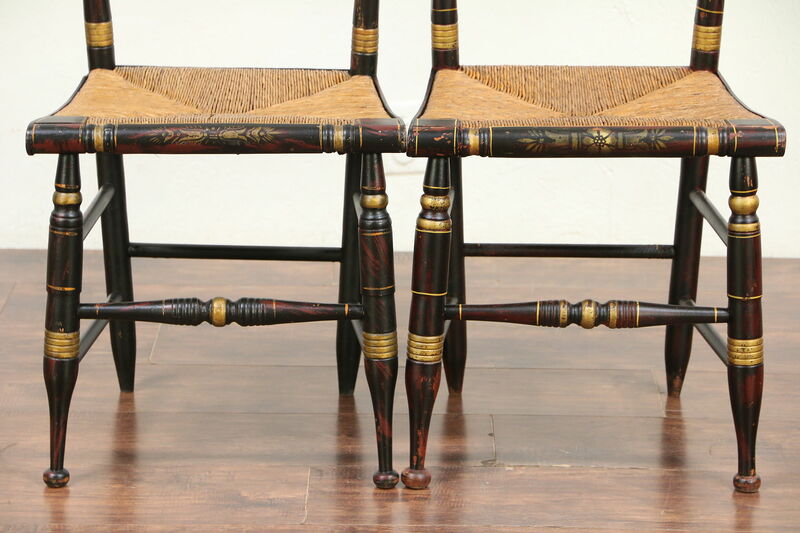 Rush seats are of various ages on this American made furniture. 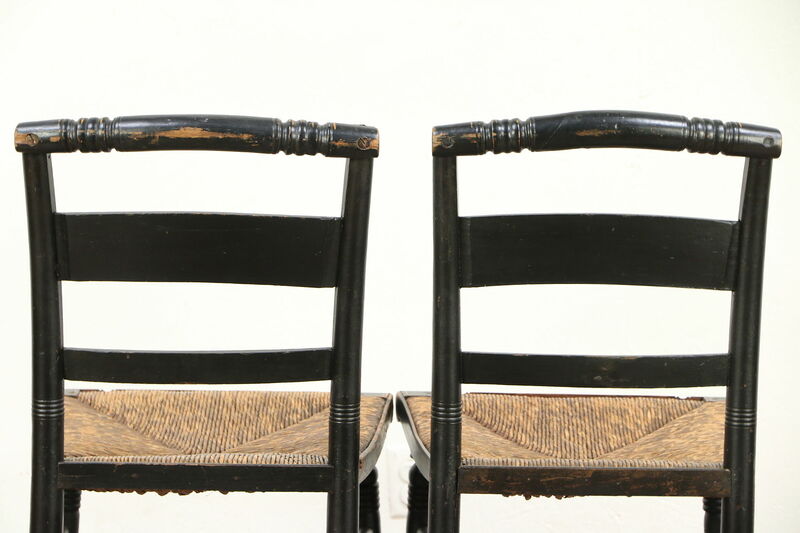 Size is 18" wide, 20" deep, 34" tall and seats are 18" high.